The Richard M. Fairbanks School of Public Health is pleased to recognize Mrs. Meredith Addison with the Spirit of Philanthropy Award this year. In 2016, Mrs. Addison established the Addison Public Health Scholarship to encourage more individuals to study public health by supporting students enrolled in the Bachelor of Science in Public Health. 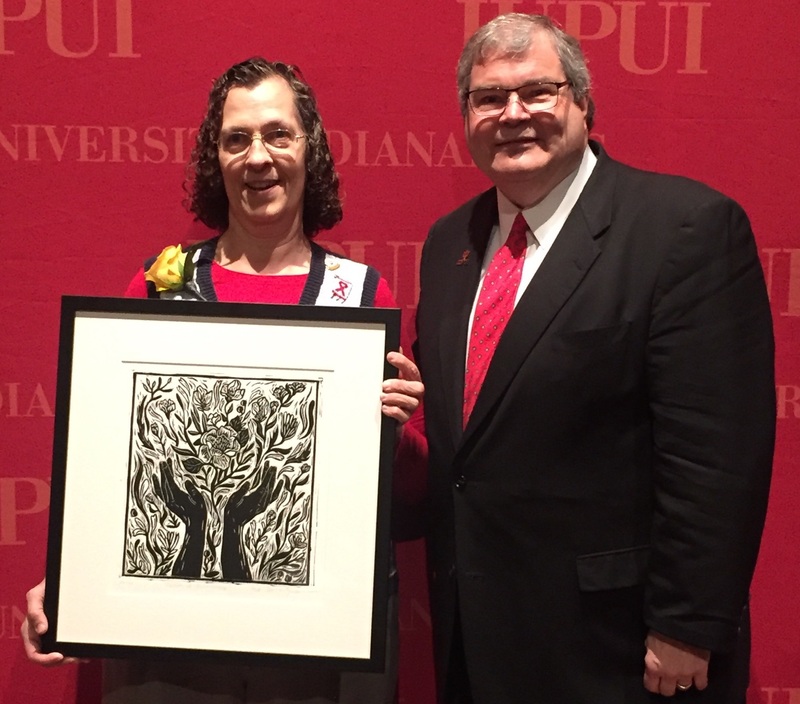 The IUPUI Spirit of Philanthropy Award is one of the most esteemed philanthropy awards given by the campus. For 26 years, this award has been presented to individuals and organizations that have demonstrated dedication and commitment to the academic and cultural well-being of IUPUI and its faculty, staff and students through generous donations, volunteerism and other notable investments. Mrs. Addison is a staff nurse in the emergency room department at Terre Haute Regional Hospital and a lifelong public health advocate. She is President of the Wabash Valley Emergency Nurses Association, a member of the board of directors for the Indiana Rural Health Association, as well as a member of the Homeland Security task force and the Indiana Governor’s State Trauma Advisory Committee. In addition to her hospital career, Mrs. Addison served in the US Army Nurse Corps for ten years. She is the proud mother of Timothy, Sarah, Levi and Rebekah and the proud wife to her best friend, Larry Addison. The Fairbanks School of Public Health is grateful for Mrs. Addison’s support of its students and her devotion to the school. She will be recognized at an awards luncheon this April at the Indiana Roof Ballroom.